If Maoist violence is illegitimate, how is Hindutva, state violence justified? Can right-wing wash off its sins? There was major police action against Sudha Bhardwaj, Gautam Navlakha, Varvara Rao, Vernon Gonsalves and Arun Ferreira on 28 August, 2018. Before this police arrested Professor Shoma Sen, Adocate Sudhir Gadling, Sudhir Dhawle, Mahesh Raut and Rona Wilson on 6 June. Even before this Dr. Binayak Sen, Soni Sori, Ajay TG, Professor GN Saibaba and Prashant Rahi have been arrested and all these activists have been accused of having links with Maoists. Maoists are considered dangerous because they are thought to be plotting to destabilize the government and the five who have been most recently targeted are also accused of having planned to assassinate the Prime Minister. This charge is ridiculous because they are dedicated activists fighting for the rights of marginalized sections of our society and don’t really have the time to indulge in frivolous activity like planning an assassination. The cooked up charge is to justify the police action. The Maoists are considered illegitimate because they support violence. Any violence cannot be justified in a democracy. However, the question is if violence is bad how is other kinds of violence more legitimate than the Maoist violence? The history of right-wing is replete with incidents of violence. How can we forget that the person with whom India’s identity is associated in the entire world and who lived the value of non-violence was murdered by people believing in Hindutva ideology? The Rashtriya Swayamsewak Sangh (RSS) can never wash off this sin irrespective of however much Narendra Modi may have tried to coopt Mahatma Gandhi, Sardar Patel, Subhash Chandra Bose and Dr BR Ambedkar, instead of using the icons of Hindutva ideology Hedgewar, Golwalkar and Savarkar. 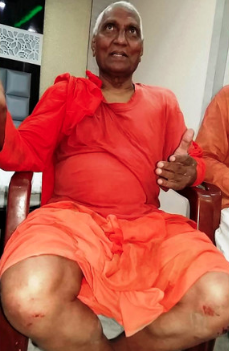 Agnivesh: Victim of Hindutva "terror"
By demolishing the Babri Masjid on December 6, 1992 the RSS, Bhartiya Janata Party (BJP), Vishwa Hindu Parishad (VHP) and Bajrang Dal have reignited the fire of communalism in this country after its partition in 1947 and have devilishly pushed the society towards Hindu-Muslim polarization for their political gain. The incident has caused irreparable damage to the politics and social fabric of this country. 17 Muslims were burnt alive during the Babri Masjid demolition and many people died in communal riots following the incident. Demolition of Babri Masjid is responsible for inviting the problem of terrorism to India. The first terrorist incident in India, which were then called serial bomb blasts, occurred in 1993 in Mumbai as a reaction to Babri Masjid demolition. Many such incidents have taken place since then. Bomb blasts have also taken place, which were plotted by the people subscribing to Hindutva ideology. What can be more cowardice than retired Major Ramesh Upadhyay and serving Lieutenant Colonel Prasad Srikant Purohit associated with Abhinav Bharat, an organization inspired by the Hindutva ideology of RSS, being part of conspiracy to explode bombs in their own country? On September 8, 2006, 38 people died in explosions in Malegaon, Maharashtra and on 29 September, 2008, 10 people died in blasts at Malegaon and Modasa in Gujarat. Workers of Abhinav Bharat organization were made accused in both incidents. 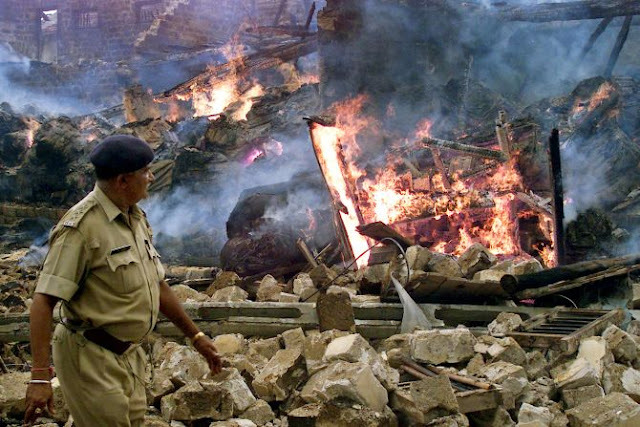 Bomb explosion on 18 February 2007 killed 68 persons in Samjhauta Express. The same year on May 18, in bomb explosions outside Mecca Masjid of Hyderabad 9 people were killed and 5 more became casualties in police firing. Abhinav Bharat again is believed to have a hand in these blasts. On October 11, 2017 in bomb explosions at Khawaja Moinuddin Chisti’s dargah in Ajmer in which 19 people were killed. Bhavesh Patel and Devendra Gupta having connections with RSS were convicted for this incident with life imprisonment. In 2002 in reaction to a fire in a coach of Sabarmati Express outside Godhra railway station communal violence took the lives of 1000-2000 people most of whom were Muslims. Leaders-workers of BJP, VHP and Bajrang Dal openly participated as perpetrators. It is believed that the then Narendra Modi government in Gujarat was directly or indirectly involved in fanning the violence. At least the police didn’t actively put an end to the violence. At that time Prime Minister Atal Behari Vajpayee had to admonish Narendara Modi to follow the righteous principles of governance. Because of his dubious role in the violence United States denied Narendra Modi a visa until he became Prime Minister. Between 2013 and 2017 assailants associated with Sanatan Sanstha are suspected of having murdered in cold blood Dr Narendra Dabholkar, Govind Pansare, Professor MM Kalburgi and journalist Gauri Lankesh essentially because they held and propagated views, which were critical of the Hindutva ideology. A new trend of violence was initiated after Narendra Modi ascended to power in Delhi. 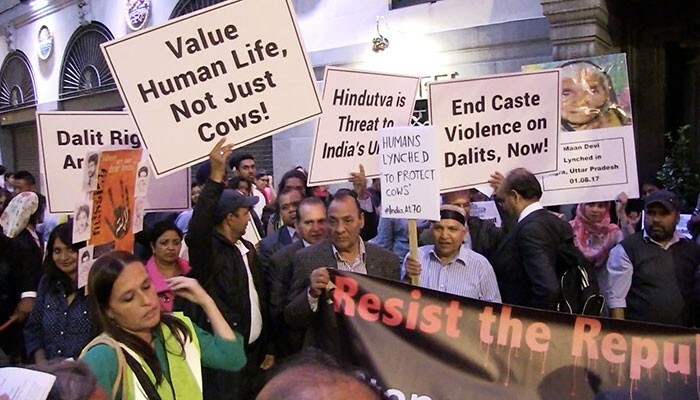 Muslims began to be lynched to death on suspicion of cow slaughter or for simply transporting cows. On 28 September 2015 Mohammed Akhlaq was lynched to death on the suspicion of having stolen and slaughtered a cow in Bisada village near Dadri. An announcement was first made from the loudspeaker of a temple to assemble the people before the assault. On March 18, 2016 in Latehar, Jharkhand cattle trader 32 years old Mazlum Ansari accompanied by 15 years old Imtiaz Khan when walking 8 oxen were lynched to death by members of a cow vigilante committee and dead bodies hung from a tree. On 1 April, 2017, 55-years-old Pehlu Khan resident of Mewat, Haryana when returning after having purchased cows and calves from Rajasthan with five others was dragged out of his vehicle and lynched to death in front of his son’s eyes in Alwar by some people inspired by the Hindutva ideology. Pehlu Khan had the receipt of purchase of cattle and documents to show that they were being taken for the purpose of dairy. On July 20, 2018 Rakbar Khan also from Haryana while taking two cows was lynched in Alwar and declared dead when brought to hospital. The police thought it fit to first take the cows to a gaushala before taking Rakbar to hospital. Another type of incidents have been launched since Narendra Modi came to power in Delhi. Youth associated with Hindtuva ideology insist on taking out motorcycle rallies with national flags as well as saffron flags forcibly through the Dalit and Muslim localities and try to provoke violence. On May 5, 2017 some Rajput youth took out a motorcycle rally through a Dalit locality ostensibly to garland a Maharana Pratap statue and in the ensuing violence a Rajput and a Dalit youth lost their lives. 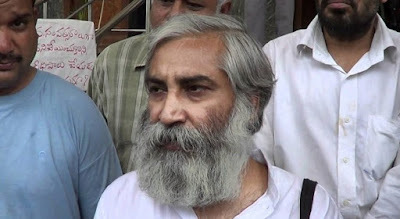 It is in connection with these incidents that Dalit youth leader Chandrashakhar Azad Ravan was kept in jail for more than a year including under National Security Act. On January 26, 2018 some youth associated with Hindtuva ideology tried to take out a motorcycle rally through Abdul Hameed Chowk in Kasganj, where Muslim youth celebrate Republic Day every year. In the resulting violence a youth Chandan Gutpa was killed. Bareilly district magistrate Raghvendra Pratap Singh had to say on twitter, "It is becoming a strange tradition. Take out a rally forcibly through Muslim locality and raise Pakistan Murdabad slogans. Are they Pakistanis?" So that there is no doubt that these incidents are not premeditated, on July 7, 2018 in Hazaribagh central minister Jayant Sinha garlanded eight members of a cow vigilante group who are accused of lynching and were out on bail. On 19 April 2017 Sadhvi Kamal didi honoured Vipin Yadav, one of the accused in Pehlu Khan’s lynching case, and compared him to Bhagat Singh, Chandrashakhar Azad and Sukhdev. This shows that Sangh Parivar does not only justify the violence committed by its cadre but also glorifies it. In addition there are incidents of state violence. On July 11, 2004, in Manipur 34 years-old Thangjam Manorama was raped and killed by members of paramilitary force Assam Rifles. On July 15, 2017 Supreme Court ordered Central Bureau of Investigation to conduct enquiry into illegal encounters in Manipur by security forces. On May 22, 2018 when about 20,000 people marched toward the District Collector’s office to protest against pollution caused by Vedanta company Sterlite in Thoothukudi in Tami Nadu, 13 people died in police firing. If the civil society thinks that violence is illegitimate then all kinds of violence must be condemned and government should make an attempt to stop all such violence.